Commemorative Glassware, Etched Glasses, Bespoke Awards, Recycled Glass Awards, Wedding Favours and Gifts. 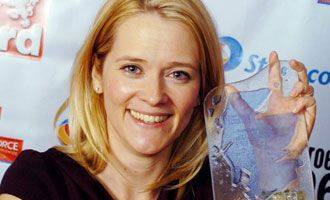 RDW Glass will design glass awards in house or from clients specifications. 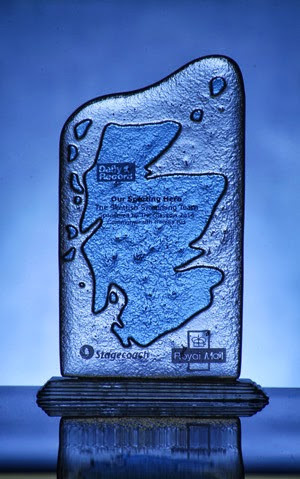 Scotland shaped fused glass awards for The Daily Record's "Our Heroes" Awards 2006, 2007 & 2008 honouring the achievements of those who dedicate their lives to others, telling us touching tales of courage, commitment and self-sacrifice from across the country. 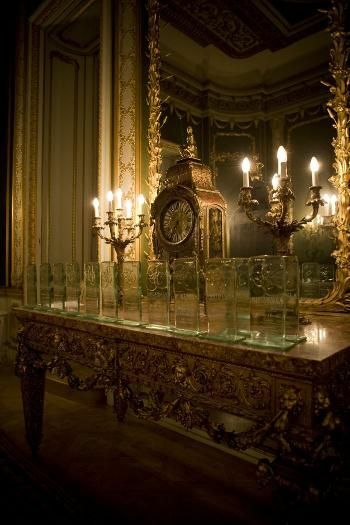 Fourteen bespoke fused glass awards were presented to the great and good of the civil service by Prime Minister Gordon Brown and Sir Gus O'Donnell. 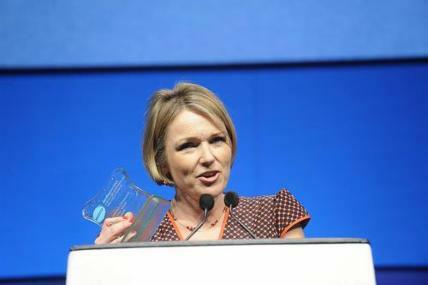 Whitehall and Westminster Civil Service Awards. Media Guardian Edinburgh International Television Festival. 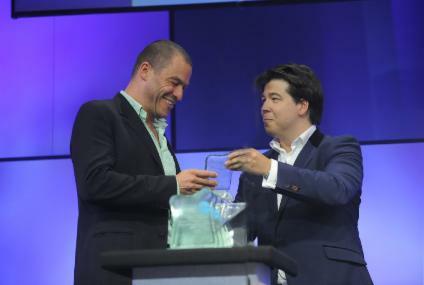 Michael MacIntyre presenting a recycled glass award to Dominic West of "The Wire" and Jay Hunt, then of BBC but now the the woman behind the show "Benefits St." accused of stirring up hatred of welfare claimants and has a reputation for chasing ratings at almost any price, has a firm grip of my glass. 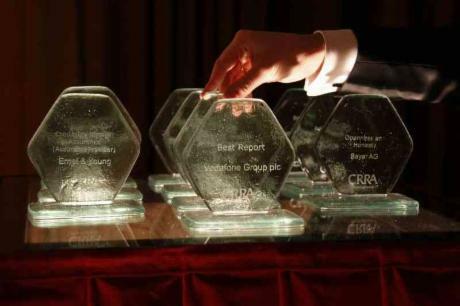 The CR Reporting Awards for corporate responsibility reporting. Bespoke recycled glass. We use a mixture of old church glass, broken and unused double glazed units and window glass reclaimed directly from projects we are working on to use in the recycled glass awards. This may give a slight difference to the level of jade/green colour seen.